The air conditioning is what keeps you cool during those warm summer months, a broken A/C can be very uncomfortable especially on the gruelling summer days. Lucky for you our mechanics are trained in air conditioning repairs, re-gassing and servicing. We provide air conditioning service for all makes and models. 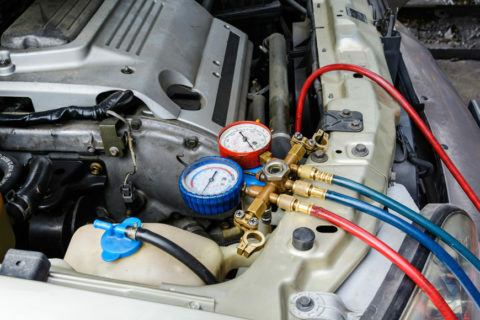 What’s involved in a air conditioning re-gas? Car air conditioning systems aren’t meant to lose their gas over time. If this has happened in your vehicle, our in house mechanics will thoroughly inspect your cars air conditioning to detect the problem.